Jackie Biskupski took office as Salt Lake City mayor on January 4, 2016. Her political career also includes 13 years as a member of the Utah House of Representatives from 1998 to 2011, where she made history as the state’s first openly gay elected official. She has worked throughout her career to mentor others – particularly young women – in politics, public policy, and leadership. She supports women from all political backgrounds in seeking elected office and positions on boards and commissions. A Minnesota native, the Mayor earned a bachelor’s degree in criminal justice from Arizona State University. She came to Salt Lake City 26 years ago for a ski trip, fell in love with the outdoors and the people, and never left. She shares her life with her wife Betty Iverson and their two sons, Archie and Jack. 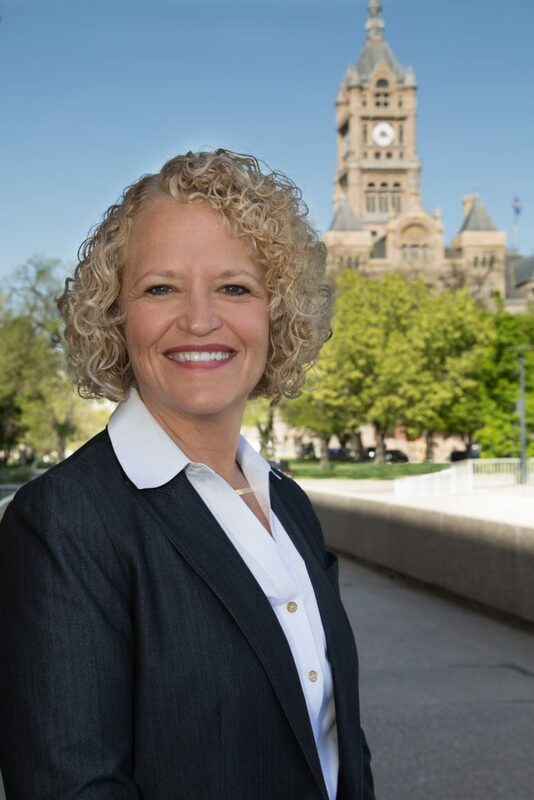 Mayor Jackie Biskupski needs your help in her re-election campaign for Salt Lake City Mayor. Together we can help further her vision of building a city for everyone. For questions regarding your donation, please contact: finance@jackieformayor.com. 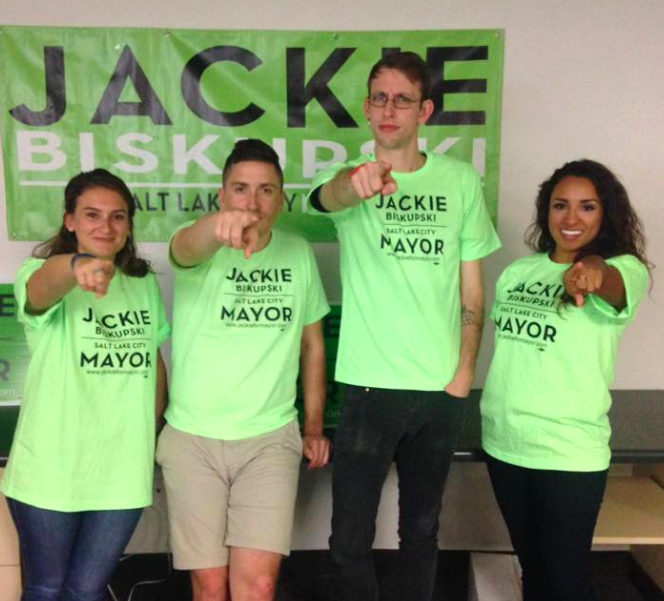 Check any options below you're interested in to help Jackie in her re-election for Salt Lake City Mayor! Thank you! Someone will reach out soon.